In April 2012, Penguin made its first flaps in the Google algorithm. Since that time, the SEO industry has developed stringent best practices around link building, also called link acquisition or link earning, as well as for backlink auditing and SEO penalty removal. 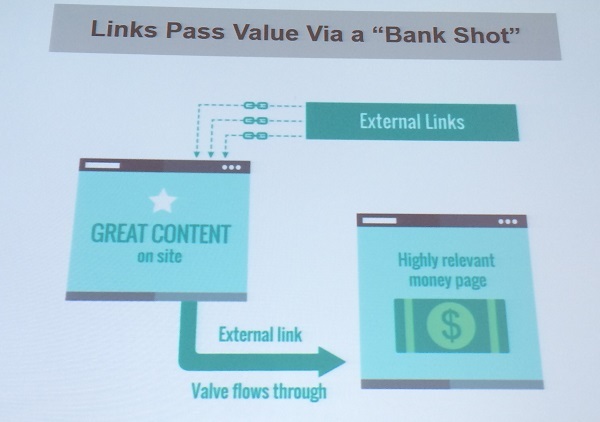 This SMX East session titled “Link Auditing & Best Practices for Acquiring Authoritative Links” starts with timeless methods to attract quality relevant links through content marketing. 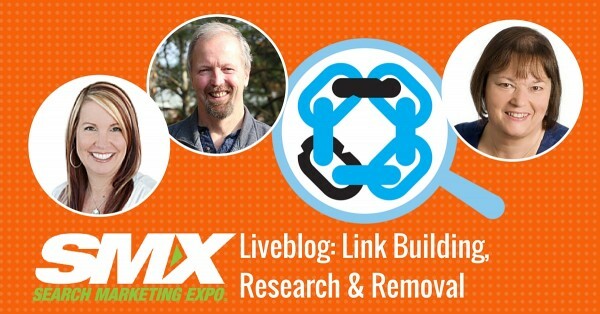 The speakers then lay out the backlink auditing process and recommend critical tools for link research and removal. 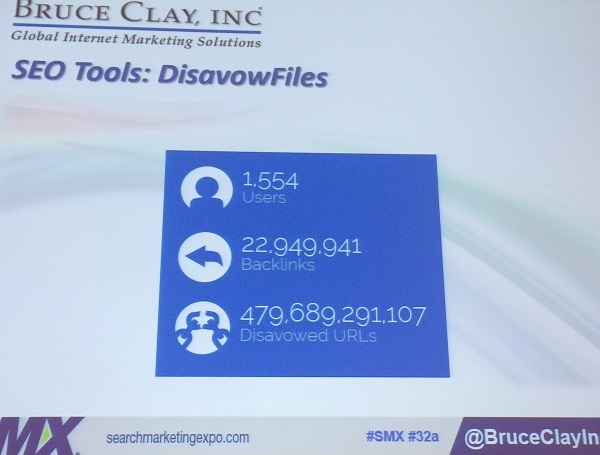 Bruce Clay kicks off the session on link building and auditing by explaining how we can crowdsource disavow files. We give Google our disavow files and have no idea if our links have been disavowed, or if we our own site and links have been disavowed. As individuals and as an industry, we can collectively empower ourselves to get all that info we give Google. Users of DisavowFiles can tell if someone is linking to you with a link that’s been disavowed. 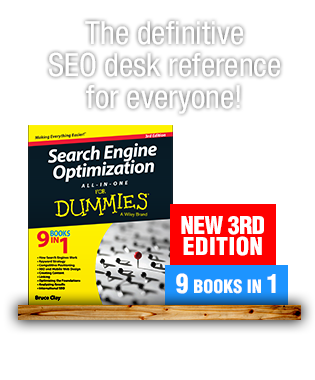 It’s a tool designed for the Bruce Clay, Inc. SEO analysts and it’s free for all to use. 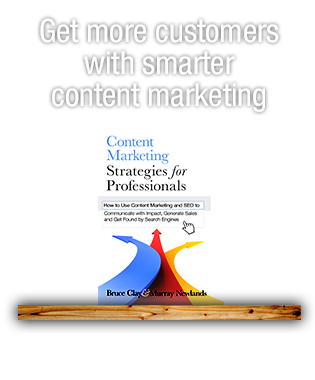 BCI launched the tool at SMX Advanced in June. Here are statistics of DisavowFiles users and how many disavowed links are included in the DisavowFiles database so far (about 4 months). Check your domain with the external lookup tool at DisavowFiles.com to see if your pages have been disavowed now! Statistics on DisavowFiles.com’s total users and crowdsourced backlink/URL data. Eric Enge: How to Excel at Content Marketing or, How Can I Get Me Some? Content marketing is a way to build SEO value, as well as overall reputation and visibility online. Little known fact: He had brain surgery in 2003. It’s a long story, it’s all fine, and 100% fixed. Links are no longer important. Primary focus should be on links. All my links need to go to money pages. All I need to do is publish great content. Content marketing is too crowded. Yes, get some links, too. 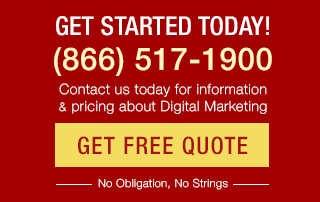 Reduces your risk of Google penalties. The ecosystem is about relationships. Focusing on links strains relationships. The content marketing approach gets the best links, anyway. 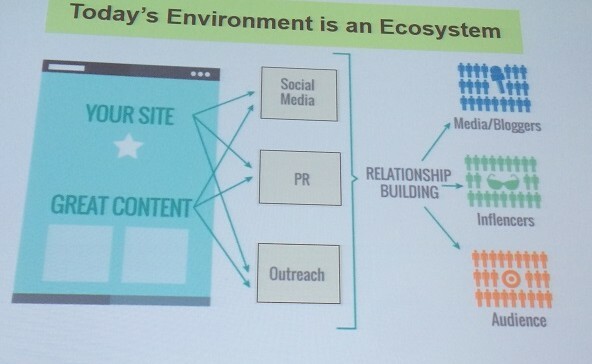 Today’s environment online is an ecosystem. You should be reaching out to media, influencers, bloggers, and your audience. 1. Publish great content on your site. The other thing that great content does is enable offsite opportunities. Studies allow for related guest posts on third-party sites, such as interviews for major media publications. 2. Publish great content on third-party sites. You have a bit of control over where you want links to go. Publishing on third-party sites gets you exposure to other networks. Some people who view your content there wander over to your site and you build your audience. 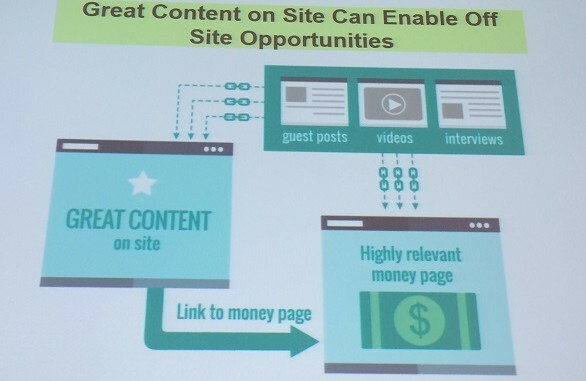 Links to your guest post make the links back to your site more valuable. Social media links are nofollow. The links from social media sites don’t directly help you. 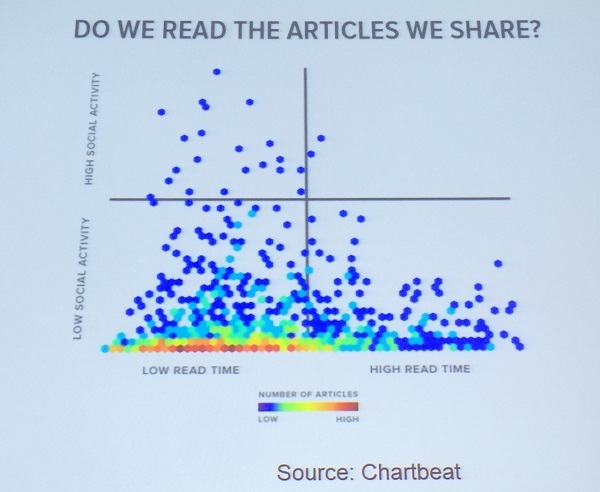 Another point — do people always read the articles they share? This graph says no. Content with high social activity had low read time, and high read time articles have low social activity. 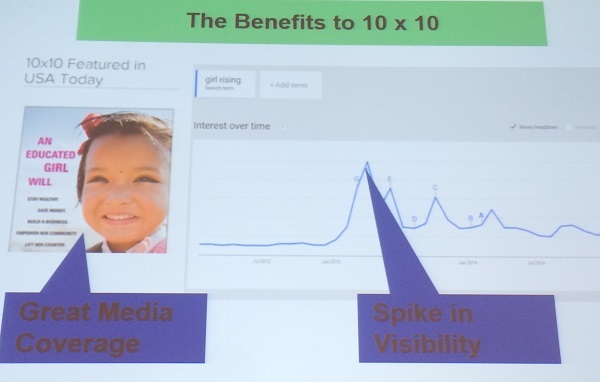 This explains why search engines don’t put much value in social signals. What social media CAN do is drive links indirectly. You get traffic, links and new subscribers through content shared on social media. Social media sharing can build your audience. Larger audiences increase visibility. More visibility through influencers, more media, and larger secondary audiences happen through social media sharing. Don’t pitch them; be patient. Wait until they start to notice you. Then you can suggest ways to collaborate. 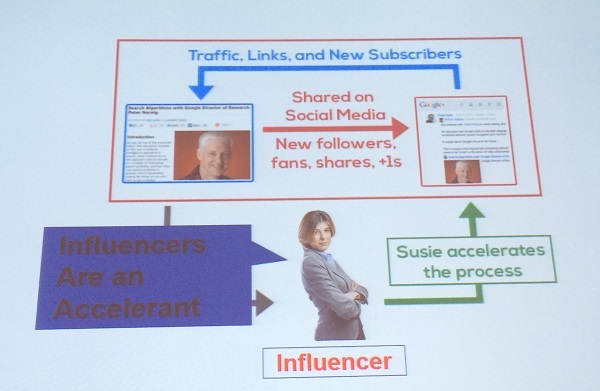 Bottom line with influencers: It’s not about you but about what value you can add to them. Sometimes that value is simple, but you need to figure out how to start engaging with them. Don’t pitch yourself. Wait until they start noticing you. How do you create content that stands out? It’s not that there’s too much content. It’s that there’s too little high quality content. Leverage a megabrand. Megabrands may partner with you because they don’t have the budget, focus, subject matter experts, they can’t make the business case, and you may be faster moving. Invest more. Best Made (bestmadeco.com) invested more in Instagram. Find a vertical area to focus on one brand theme. Then invest more in that area than others do. Be unique. Seventh Generation pushes an eco-friendly theme. If you go to their website, they push eco-friendly at a strong level. Their home page gives the appearance of a blog. Find a vertical concept that you can lead. Focus your content on that concept. Develop the subject matter expertise. Engage and build followings around that area and establish a leadership role. Get the early mover advantage. When a new social network starts, jump in. The risk is that the new platform won’t take off. But the potential reward means you can be the big star of the platform before anyone else is there. Promote better. This is the basics. Use best practices like attention-grabbing titles, compelling images, leveraging influencers and doing follow-on content. Work harder. Do something that others won’t. Take one thing and work harder on that. Leverage data others haven’t, go deep. Is it Penguin or a manual action? Penguin: Usually there’s a significant drop in traffic that is not due to other site architectural or crawling issues. Manual action: You should see a notification in Google Search Console. Rank by quality: This is the first pass. Majestic lets you filter by Citation Flow and Trust Flow. Kerboo (formerly LinkRisk) and DisavowFiles flag you to suspect links. Analysis: This is the most time consuming step. You don’t want to get rid of all your links, so you manually evaluate the master list. When you’re analyzing, look at quality metrics, referring domains, C-blocks, anchor text. A lot of links with the same anchor text to the same place is a huge red flag. You may also look at the geo-location of links; for instance, if the top-referring international domain is from Malaysia — does that make sense for your business? Highlight Citation Flow and Trust Flow via Majestic. Outreach for removal requests: Gather contact info for the identified removal targets. Make a minimum of two outreach attempts. Document all communication. You most often don’t get a response. If payment is requested, document it. Disavow tool: After you’ve reached out to the linking site’s webmaster and gotten no reply, you have a way to tell Google that you want to be disassociated with the website. There are specific things you should know, including the file type, one URL per line, and whether you want to disavow whole domains or specific URLs. Avoid mistakes such as disavowing everything or disavowing “just enough.” Don’t overwrite your previous disavow file without including all your older disavowed links. She goes to war with rampaging penguins. She recommends thinking about some of the interesting things that Eric Enge was just saying about how to naturally acquire links. In case you think you only want to build good links, know that the smartest people listen to the best experts. Actively disavow and remove low quality stuff, because otherwise it’s there dragging down your good links. Google has been talking about building Penguin into the core algorithm for a long time. [See Bruce Clay’s interview with Gary Illyes in September 2015.] Whenever it happens, just be prepared so that the Penguin doesn’t get you. Look at high-risk links, which are not relevant, obviously scaled and repeated, manipulative or SEO-focused in intent. Menz recommends Spamflag’s http://www.spamflag.com/link-identification-guide as the ultimate guide to manipulative links. If you think you found the next great trick to fool Google — that’s a bad idea. Rap Genius is an example of asking for links in exchange for promotion. If they purely promoted people rather than making it for links, that’s when it went wrong. Thumbtack tried to gamify link acquisition. Gamification in a community can naturally earn links because it’s something shareable that people want to promote. They could have done it right by not explicitly asking for links. If you can sell it, it isn’t natural. Disavow files work. The disavow tool has multiple uses: actively managing negative SEO, trust management, and penalty resolution. However, there are some pitfalls you need to be aware of. If you’re only seeing one variant of a site, you may never see notification of a manual action. Here’s a tip from Maile Ohye (of Google): Disavow is canonical. Don’t update your disavow file without adding the old and new information. Otherwise, you lose your previous disavow list. Beware of comment bloat, which could put you over the 2 MB file size limit. Comments in your disavow file should be for your own information. Heads up! Don’t disavow IP addresses unless you have absolutely no other option. The best practice is to disavow entire domains, although there are some edge cases for which you might want to do URL-level disavowal. Disdit.com is another crowdsourced tool that searches a disavow files database. If Google’s cache has updated, the disavow file is processed. Don’t think of disavow as a temporary fix. Know that disavowed links won’t be removed from the Google Search Console. Don’t use Citation Flow or Trust Flow as a direct metric. Rather, divide TF by CF and locate links that are under a threshold. One final point to remember before disavowing or requesting link removal: Check your analytics and don’t remove high referrers.